You don't need to travel to the Sheffield walk-in. See a GP online instead. Our online walk-in centre means you won't have to spend your day in a waiting room, or get up early to secure an appointment. 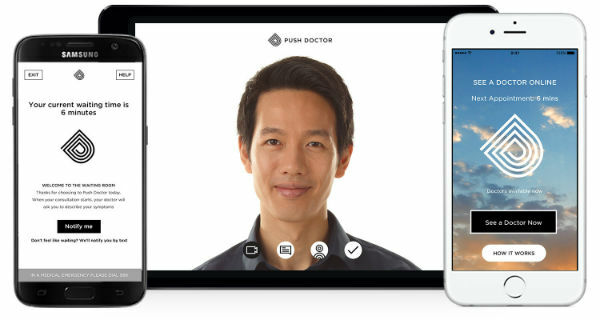 Instead, you can login on your smartphone, tablet or desktop device and see an experienced, UK-based GP with Push Doctor in minutes. We're here for you 365 days a year and can provide out of hours appointments that will mean you won't need to take time off work. Don't wait to get the medical advice you need. In 80 per cent of cases, a GP is able to make a diagnosis without physically examining the patient. Given this fact, why do you need to travel across Sheffield in order to see a doctor? An online consultation can help you get the advice you need. Our doctors can see you during the consultation, so they can help with problems such as skin conditions or insect bites. You can also discuss mental health issues with them if you need to. You'll find more information about walk-in centres in Sheffield below. 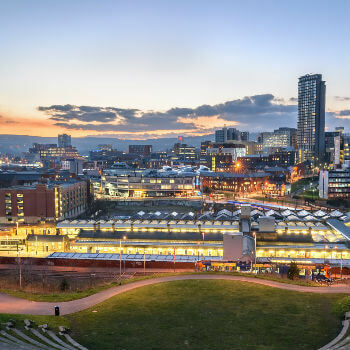 If you still need a walk-in centre in Sheffield, The Sheffield City GP Health Centre is conveniently located in the city centre, so it can be easily accessed by car or public transport. You will be required to wait in a queue to see one of five GPs. The centre can be very busy, particularly between 9:00 and 18:00. Looking for your nearest Sheffield pharmacy? Find out where you can pick up your medication. Weldrick's Pharmacy is found in Sheffield City Centre, close to the University of Sheffield and Royal Hallamshire Hospital.